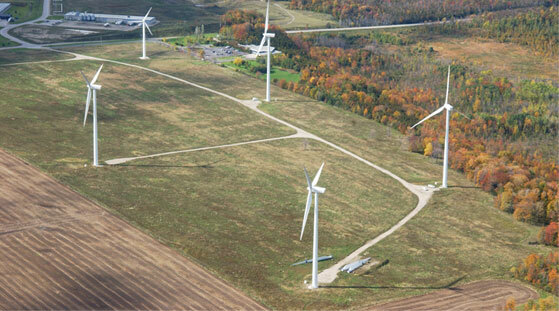 The Huron Wind farm is located west of Highway 21, six kilometres northwest of Tiverton in the municipality of Kincardine. 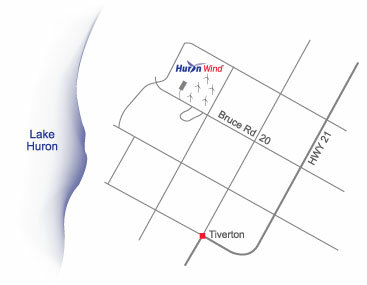 Located west of Highway 21 on Concession 4, parking to view the wind farm is available next door at the Bruce Power Visitors' Centre. For driving directions, use Google Maps. Web Site Developed by Websmart Inc.